Just four days after two Republican presidential candidates announced they would take a divide and conquer approach to keep front-runner Donald Trump from securing the minimum number of delegates needed to win the party's nomination, the union appeared to be already over. Sen. Ted Cruz denied having an alliance with John Kasich Thursday. "I recognize that the media is all eager to talk about an alliance," Cruz told members of the press outside of a campaign stop in Fort Wayne, Indiana. "There is no alliance. Kasich and I made a determination where to focus our energies, where to focus our assets, where to focus our resources." Trump, the GOP race's current front-runner, slammed his rivals collaborative effort as "desperate" on Twitter and told an audience in Rhode Island on Monday, "actually I was happy because it shows how weak they are, it shows how pathetic they are." 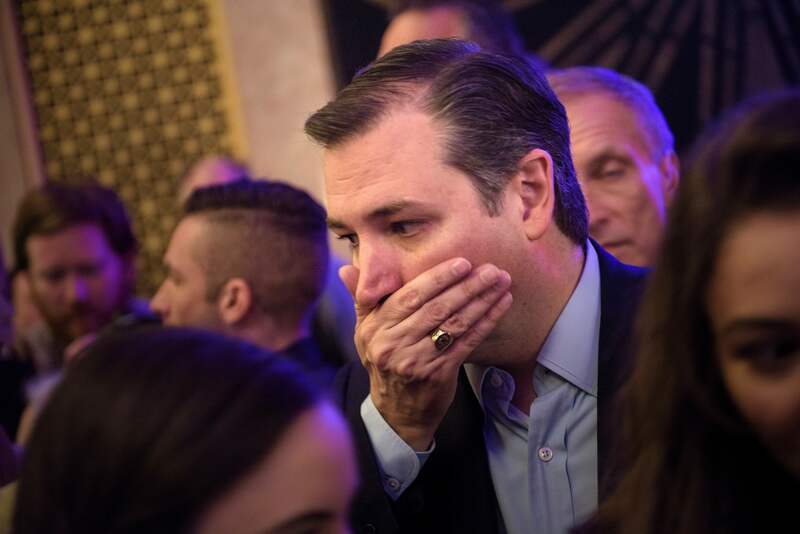 But Cruz appeared to be backtracking on Thursday following Kasich's defense of the alliance. The Ohio governor denied Wednesday telling Indiana voters planning to vote for him to cast votes for Cruz instead. "I've never told them not to vote for me," CNN reports Kasich said. "They ought to vote for me. But I'm not over there campaigning and spending resources." After denying having had an alliance with Kasich, Cruz claimed his rival pulled his campaign out of Indiana on his own accord. "John Kasich made the decision in his own political self-interest to withdraw from Indiana and compete elsewhere," ABC News reports he said. "And that was a perfectly reasonable decision." Cruz went on to describe the Ohio governor as a "good" and "honorable man." In one final crush of whatever cooperation may have existed between the two Republican presidential hopefuls, Cruz urged Kasich supporters in Indiana to vote for him in the state's May 3 primary. "Listen, I would make a very explicit outreach to the people of Indiana who are supporting John Kasich: If you don't want to see Hillary Clinton as president, if you don't want to see Donald Trump as the nominee which makes certain Hillary Clinton is the president, then I ask for your support."